Dental surface restorations composed of dental amalgam, a mixture of mercury, silver, tin and other metals, significantly contribute to prolonged mercury levels in the body, according to new research from UGA’s environmental health science department in the College of Public Health. This research, which analyzed data from nearly 15,000 individuals, is the first to demonstrate a relationship between dental fillings and mercury exposure in a nationally representative population. The results were published online earlier this month and will be available in the print edition of the journal Ecotoxicology and Environmental Safety in December. 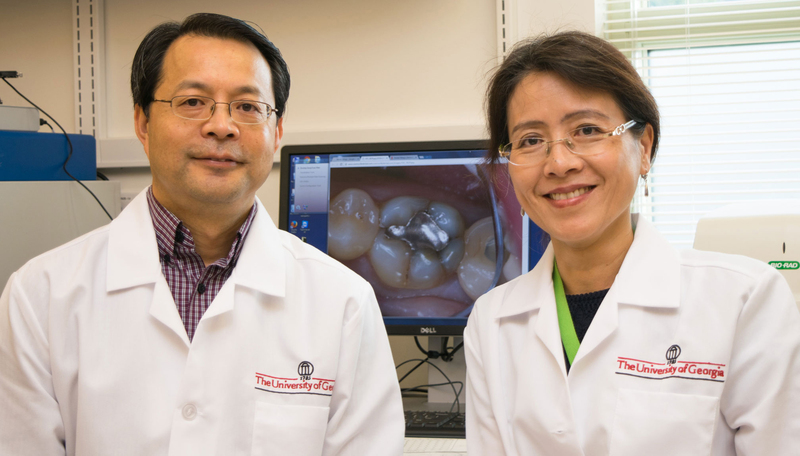 Mercury exposure from dental fillings is not a new concern, but previous studies were inconsistent and limited, according to Xiaozhong “John” Yu, an assistant professor of environmental health science and co-author of the study. “This study is trying to provide the most accurate levels of exposure, which will form the scientific basis to make future risk assessments,” Yu said, adding that the study was the first to also control for age, education, ethnicity, race, gender, smoking and seafood consumption, which is a known contributor to mercury levels in the body. Dental amalgam has been the go-to dental filling material for more than 150 years because it’s affordable and durable. However, about half of the compound contains mercury, a heavy metal known to be toxic at high levels, causing brain, heart, kidney, lung and immune system damage. New research suggests that methyl mercury may cause damage even at low levels. People with numerous dental fillings who also are exposed to mercury from other sources, such as seafood or work environments, are most at risk.